We recommend laptops because most students appreciate the mobility and convenience they provide. Their size allows them to be taken anywhere on campus and use the Wi-Fi network which is available in the common areas of residence halls, as well as in academic buildings, the student center, Fintel Library, both quads, and all Residence Halls. However if you or your student do not desire to purchase a laptop, Roanoke College is well equipped with many computer labs across campus. Roanoke College does not require students to have a computer, but many students find it convenient to own one. What kind of a laptop? If your laptop was purchased in the past four years and has been updated regularly, it will work on the RC campus. Please note that systems purchased through Roanoke's Recommended Laptop Program will be given priority support. Systems that do not meet the minimum system requirements will receive no support. 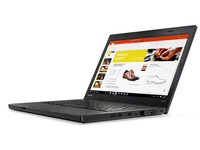 Roanoke College has partnered with Lenovo to design recommended laptops for the 2018-2019 academic school year. The computers come with an extended 4 year warranty designed to last each student until the end of their college career. If you are an incoming freshman, we recommend waiting until at least June to purchase your computer so that the warranty will carry you through four years at Roanoke College. These computers are listed at significantly discounted prices, special for Roanoke College students, faculty, staff, and parents. As part of your Technology Fee you can receive a free copy of Microsoft Office 2016 for Windows or Mac (RC E-Mail Address and Password required to access). Prefer an Apple computer over a Windows machine? While Apple doesn't offer preconfigured systems unique to Roanoke College, you may purchase standard Apple hardware at a discount through Roanoke College's special Apple Store. Apple laptops come with three year Apple Care coverage, which includes everything along with two discounted accidental damage repairs. IT technicians will fix everything covered under your warranty for free.